Sure, there might be some exceptions to the rule, but a typical computer workstation with wheels features a very compact and light build. Most of the time, the model will have no extra storage units — maximum a keyboard tray. And, there may also be some workstations optimised for laptops — that is, without the tray. Another important perk of going with computer workstation with wheels is that it is mobile, which ensures not only easy transportation in case you move around a lot, but also easy cleaning. While designs are generally compact ones, the choice of styles and production materials is very impressive. 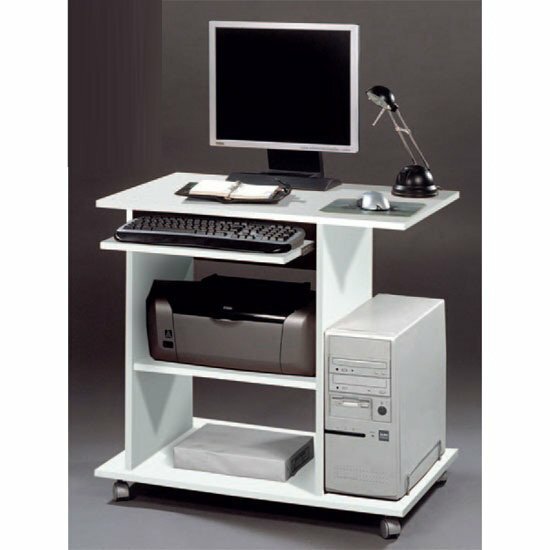 There are computer workstations with wheels on a metal and on a wooden base; models with MDF or glass surface; units that have wood effect or high gloss finish, etc. No matter how small your room may be, there will always be a place for a typical computer workstation desk on wheels. Even though these models come in many different materials, which makes them amazing fits for different interiors, all of these desks have some kind of ‘universal’ design, suitable for different rooms. The universal design and the use of widespread production materials makes small workstations on wheels perfect for a variety of decoration themes. 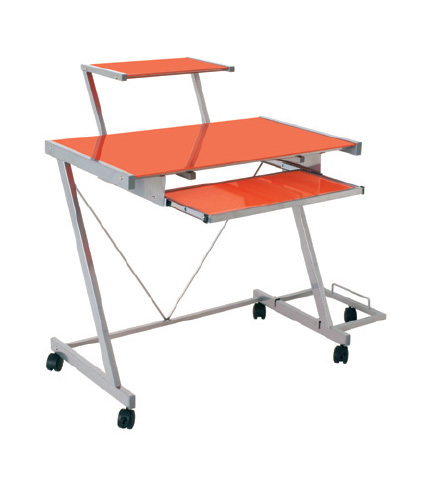 Even despite its light, almost fragile design, a typical computer workstation desk on wheels will feature metal or stainless steel base, which is a practically unbreakable material that will last for a very long time. And, if you take your time to choose quality surface material and fine finish, the piece will have what it takes to stay in your home for a very long time. At the same time, a typical computer workstation desk on wheels is not exactly a designer piece, and few manufactures charge a fortune for this simple unobtrusive design. Sure, when it comes to affordability, a lot will depend on the pricing policy of a store you shop with. In the UK, one of the best examples of a store that can offer you high quality products at a reasonable cost is Furniture in Fashion . This is a local platform that has already gained solid reputation among UK residents. The major things that make this store different from the other online platforms is very quick lead times, great customer service, and moderate prices on highest quality models from the leading international manufacturers. And, this is also one of the few stores that have a showroom (Farnworth) where you can personally examine any piece you find interesting.